Hello, loyal blog readers!! Hope you all experienced ma previous articles on True Balance App, Bucker App, Primo App, etc. 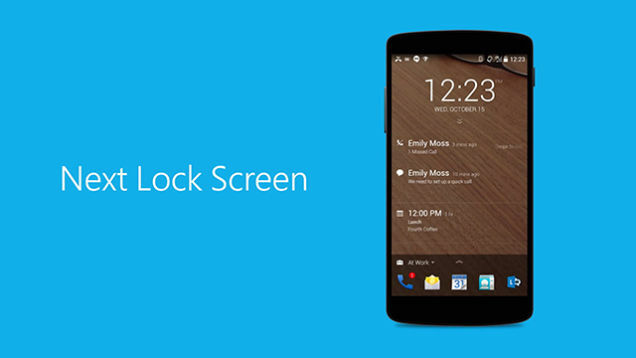 Today I would like to introduce a nice Android app named Next Lock Screen App. It is an ultimate lock screen for busy professionals. Next Lock Screen app protects your smartphone from the unwanted access by others and is also instantly more productive. So, as said it is an excellent companion for your daily life and is a simple but powerful app which protects your smartphone deeply. ● Custom Unlock: Comparing to other simple protections such as pattern lock, PIN lock, etc it also introduce the fingerprint lock which is a fabulous feature. 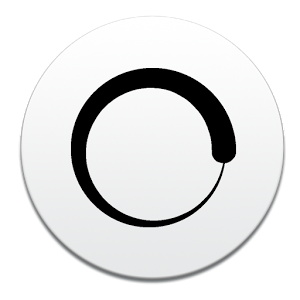 ● People: Make easy access for your favorite contacts from the lock screen itself. ● Notifications: View your missed calls, text messages, Facebook, Whatsapp, etc notifications. ● Wallpapers: Select your favorite pictures as your wallpaper and also can be applied the wallpapers from Bing on each day. ● Apps: Launch your beloved app with their built-in app launcher. ● Music Player: Play your favorite musics and songs. Also, supports popular music apps such as Spotify, Audible & Pandora. ● Weather: With automatic updates, checks the local weather. ● Calendar: Your all favorite events, time and location are displayed. Also, receive summaries on the meetings you have for today & tomorrow. Next Lock Screen app is available in Google Play Store and it supports English, Spanish, Chinese and Portugese languages. Actually, Next Lock Screen is a Microsoft Garage project brought to you by the creaters of Arrow launcher, the simple, personal launcher for Android. So, what are you waiting for? Download Next Lock Screen app from the above link and experience the app. Hi, TechnoDripians!! How di? I know, you all are enjoying the free 1 GB Airtel 4G data as per ma previous article. Now, I am going to introduce an exciting offer on Freecharge. Freecharge.in is India's 1st free online prepaid mobile recharge and top up service provider company. So, Freecharge is the simplest and fastest way to do online recharges and is also most assured website for recharging. Coming to our point, now they introduce a Rs.40 recharge offer. Simply follow below steps to grab it. ➀ Open Freecharge web from here and also can use Freecharge app. ➁ Login with your account or create new account. ➂ Perform a recharge for Rs.20. ➄ Pay with debit/credit or freecharge credit. ➅ Now, you can use this Rs.20 offer twice (means Rs.20 twice, hence gives Rs.40 recharge absolutely free). ● Valid on minimum transaction of Rs.20. ● Promocode: INDIA should be applied to get the offer. ● Not valid for add cash transactions. ● Valid twice per user. ● Not valid for virtual cards & international cards (issued only in India). ● Offer valid for Freecharge customers only. 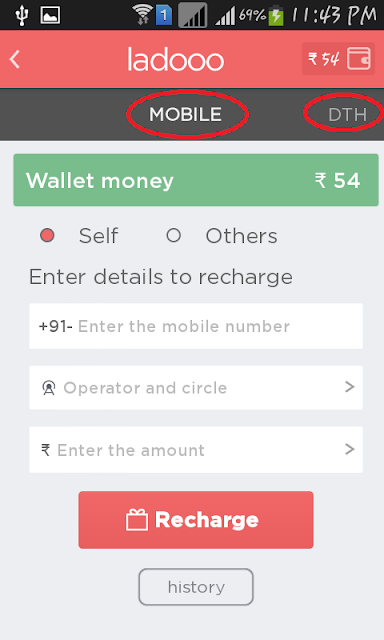 So, enjoy the Rs.40 (Rs.20 twice) free recharge from Freecharge. Grab it soon!! Don't wait!! Hello, guys!! 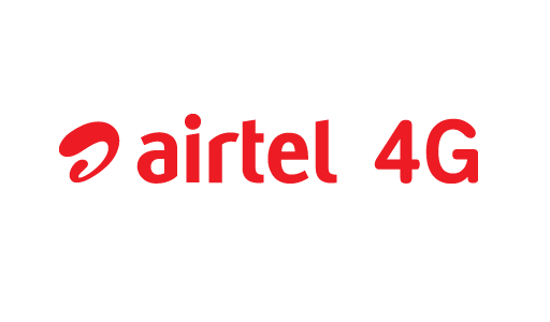 Today I am back with an amazing offer on Airtel 4G. Yes!! Now, enjoy 1 GB free 4G data in few 4G enabled states such as Andhra Pradesh & Telengana, Kerala, Haryana, Maharashtra, Delhi, West Bengal, Tamil Nadu, Karnataka and so on. You just want to dail 52122 number to activate this amazing offer. Excited, right? I know, most users enjoys Jio nowadays. But, if you are struggling with a rush network, you should definitly taste this amazing superfast network of Airtel 4G. So, hurry up and grab this fabulous offer. ➀ Dial 52122 from your updgraded 4G SIM. ➁ If you recieve a confirmation message, you are done. ➂ Now, the 1 GB 4G data will be credited to your Airtel account. ● Offer valid for selected states only. ● Offer is valid only for 4G upgraded customers. ● Use this great offer only in 4G enabled mode. ● Offer only applicable with 4G supportive devices. So, Airtel customers, have your free data and enjoy 1 GB for free. Stay tuned for more exciting offers!! I discussed so many free recharge apps on ma previous articles like Ladoo Free Recharge App, Fokat Money App, Yoo Free Recharge app, etc. But today I am going to introduce an app get free data. Nowadays we cannot move on without the internet connection. Each and everything is computerised. All registrations, billing, results, etc are done through the internet. So, without an internet connection, we cannot hold anything in our daily life. 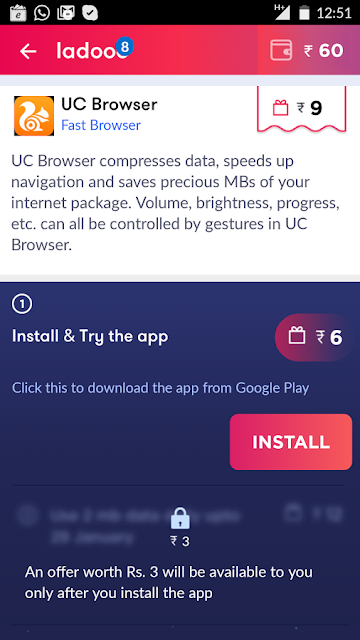 So, here I introduce an app which gives us unlimited free 3G/4G data. It is an identical app like Gigato. So, Databack App offers free data for the users for downloading apps and using a certain amount of data on these apps to get extra. Also, this app provides free data by inviting your friends and participating in contests. This is supported in all Android versions and OS versions. It does not provide any restrictions for using data. 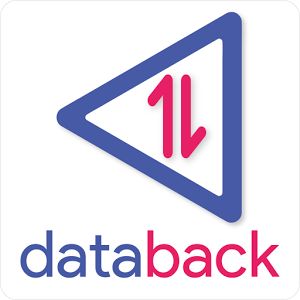 ➀ Download and install Databack App from Google Playstore. ➁ Signup using a promo code or any referral code. ➂ If you login with any referral code you will get extra 5 MB. ➋ Click on the button 'Invite & Get Data'. ➌ Copy your individual referral code and invite your friends. ➍ When your friend signup using your referral code, you will receive 5 MB instantly. ➎ When your friend earns 20 MB, extra 10 MB will be credited to your data pack wallet. 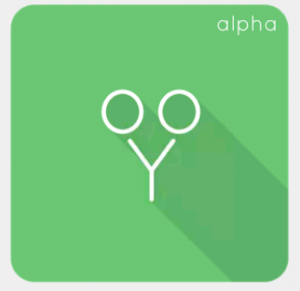 ➏ By joining, your friend also will get extra 5 MB. Ⓐ Your minimum redeem balance is 150 MB. Ⓑ So, first of all, earn 150 MB by downloading and referring. Ⓒ Now, go to your Data Balance & redeem free internet packs as per your choice. So, here I introduced a well working app which gives us data for free. At the present time, we cannot live without the internet. So, this Databack App will be very impressive for you. 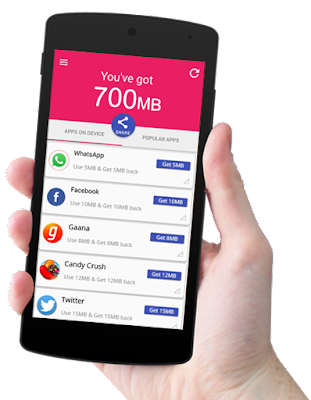 So, download it and start enjoying unlimited 3G/4G data absolutely for free. Hi, TechnoDrip readers!! Hope you enjoyed ma previous articles on freecharge app like Fokat Money App and Yoo Free Recharge App. Ladoo is another prominent recharge app like Earn Talktime and Mcent App. Using Ladoo App we can download many apps such as Flipkart, Amazon, Eros now, Jabong, Payzapp and much more. For each, you will be rewarded with the free Paytm cash. This can be redeemed for free mobile recharge. Also, you can earn Rs.40 by inviting your friends via Whatsapp, Twitter, Facebook and Google Plus. Nowadays this app is becoming more popular. The cash given to the Paytm wallet can be redeemed to recharge your mobile phone as well as your DTH connections. If you do not have enough balance in your wallet how will you recharge?? Don't worry!! Here the uniqueness of Ladoo App works. It can also do paid recharge using your debit card. 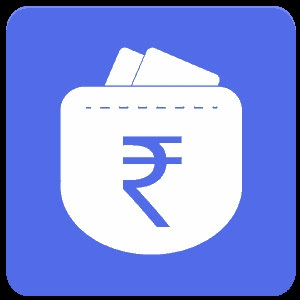 ● Free Paytm Cash for downloading apps from Ladoo. ● Book movie tickets in BookMyShow. ● Book train tickets from IRCTC. ● Free DTH recharge across Bharath (Supporting DTH connections: Dish TV, Sun TV, Airtel Digital TV, Reliance Big TV, Videocon d2h and TATA Sky). ● Free mobile recharge (Supporting networks: Airtel, Aircel, BSNL, MTNL, Idea, Reliance, TATA Docomo, Loop Mobile, MTS, TATA Indicom, Videocon, Virgin Mobile, Vodafone and Uninor). ● Pay your gas, landline and electricity bills. ● Enjoy shopping on Paytm. ● Pay for your Uber ride. ● Send money to your beloved once. ● Paid recharge using the debit card. ➀ Download Ladoo App from Google Playstore. ➁ Install and open it. ➂ Verify your mobile number. ➃ Get your referral link. ➄ Share it with your friends and enjoy high paying referral offers. So, here I introduced a new free recharge app: Ladoo Free Recharge App which is trusted among 9 million users because of it's ridiculous user experience and comfort of registration. So, what are you waiting for?? Just download it and experience free recharge. Hello, TechnoDripians!! Hope you all enjoyed ma previous articles on free recharging apps like 5 Best Free Recharge Apps For Earning Unlimited Talktime, Talkcharge: Avail Upto 200% Cashback, Genext Students App: Now Be Educated With Earning Money, etc. Fokat Money App gives you ultimate ease and experience to claim free gifts and do your mobile recharges, bill payments etc while you also get wonderful deals from all Major Brands of your choice. With this extraordinary app, you can earn unlimited mobile recharge and also includes the best shortlisted apps for your daily use. 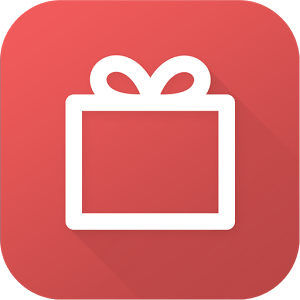 ● Regular contests for amazing gifts, talktime. ● Free mobile recharge & utility bill payments. ● Send wishes & greetings to your loved ones. ● Wonderful discount deals from all major brands. ● Selective content with trending videos to enjoy & share with friends. ● Jokes to create the laugh riot. 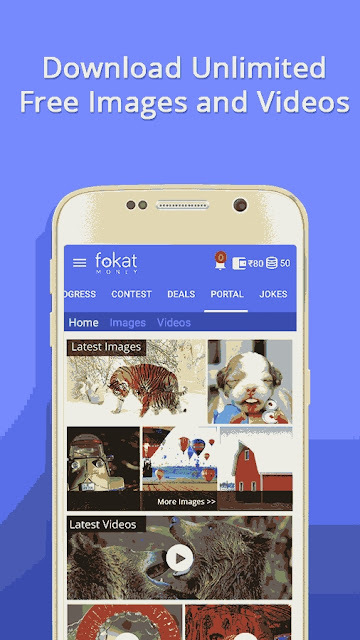 ➀ Download the Fokat app from Google Playstore. ➁ Open & register the app with your mobile number. ➂ Verify it with OTP. ➃ Now download 2-3 apps from the offer list and earn minimum Rs.20 & do your first recharge. ➄ Share your referral link and get Rs.30 per refer. ● Avail free recharge for every action. ● Get exciting deals of best e-commerce portals for free. ● Can perform recharge to any mobile networks (Supports Airtel, Aircel, BSNL, MTNL, Idea, MTS, Reliance, TATA, Uninor, Vodafone, and Videocon). ● Recharge DTH accounts across Videocon d2h, TATA Sky, Sun TV, Airtel Digital TV, Reliance Big TV, and Dish TV. ● Gift a deal to your loved ones. 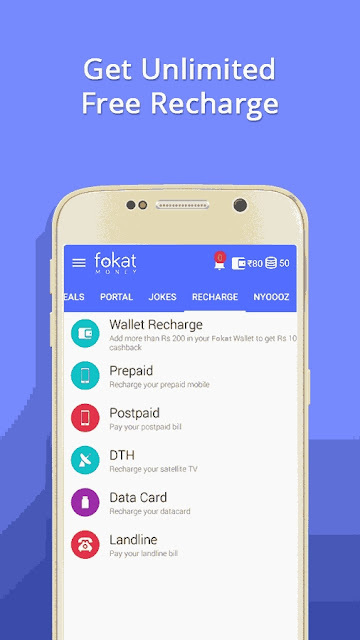 Now tune to Fokat Money App and start earning for unlimited recharge. This is a cool app which works very smoothly with fall in love features comparing with other apps. 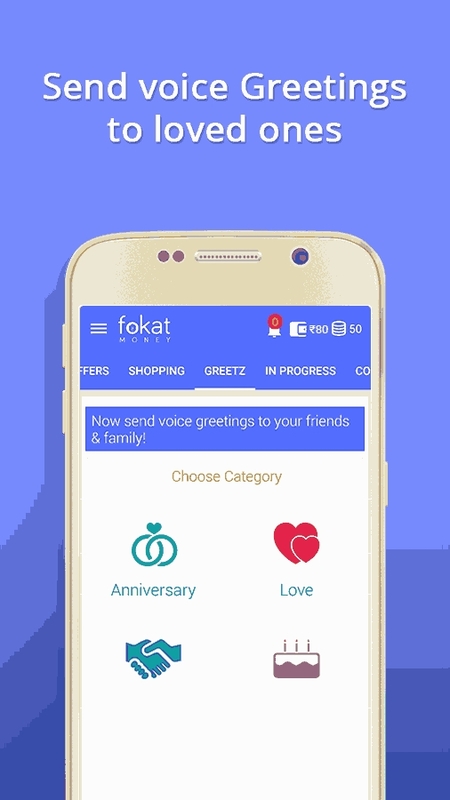 So guys, enjoy this Fokat Money App and start earning with experiencing its easiness. Hello, friends!! Today I introduce you a terrific #1 app for discovering the best android apps and get rewarded with free recharge on your mobile phone. 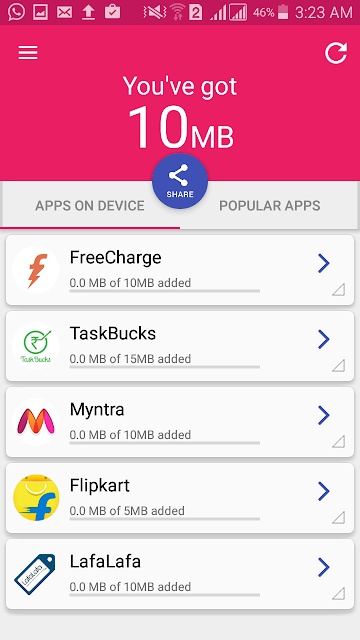 In this app, you can enjoy unlimited recharge by just checking out of best apps. 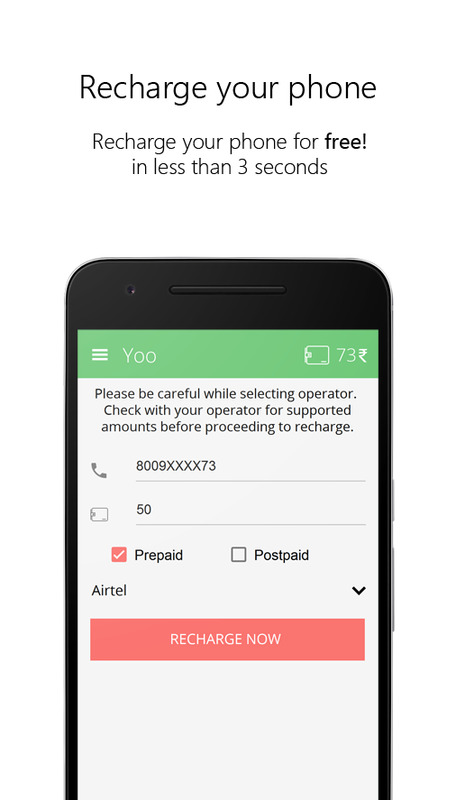 In Yoo, you can get started in seconds by just registering your mobile number. Now, the cool apps shown in the Yoo app can be downloaded for availing rewards and also can avail Rs.10 per referral. In this unique referral system, you can avail up to Rs.10 per referral + 10% of what they earn for the lifetime. Isn't it smooth?? Yes, it is!! You can earn up to Rs.110 by this unique referral system. Another peculiar advantage is you can participate monthly referral contest. Invite all your friends and win exciting prizes like smart phones, headphones and much more. ● Recharge your mobile instantly (Supports Aircel, MTNL, Idea, MTS, BSNL, Reliance, TATA Docomo, TATA Indicom, Uninor, Videocon and Vodafone). ● Perfect apps updated daily. ● Avail Rs.110 for every friend you invite. ● Enjoy terrific offers only for you. ● Exciting prizes like smart phones, headsets and more every month. 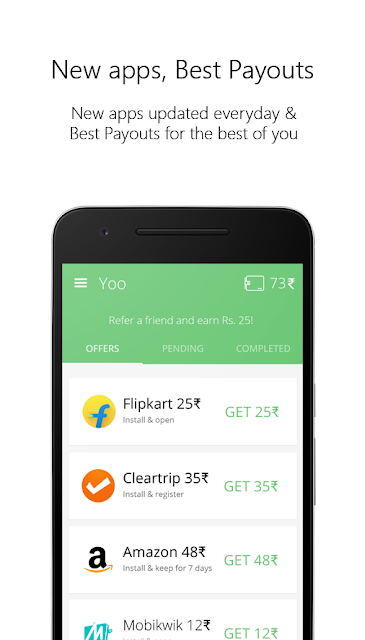 ➊ Download and install Yoo Free Recharge App from Playstore. ➋ Now register your mobile number & verify it. ➌ Complete any offer to earn free recharge. ➍ Go to menu, click on 'Refer & Earn' and copy your referral link. 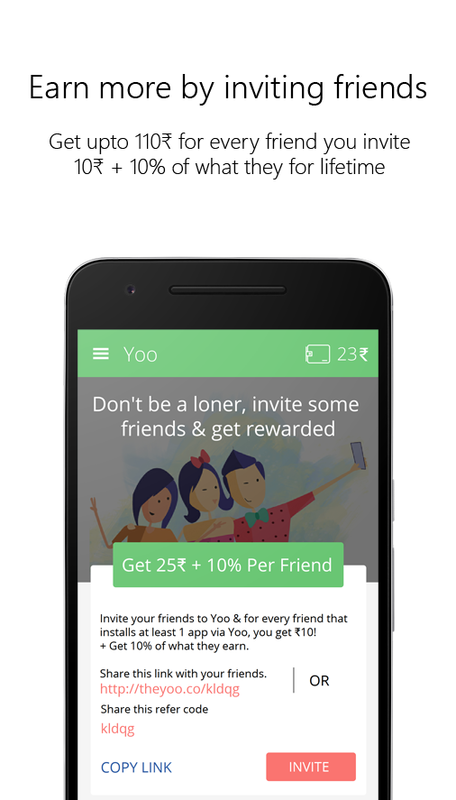 ➎ Invite your friends to Yoo & every friend that install at least one app via Yoo, you will be rewarded with Rs.10 + get 10% of what they earn. So friends, here I popularised #1 app for free recharge and to win exciting prizes. For the referral, you can win up to Rs.110. You just want to check the app every day to see new offers and install them and participate in the referral contest to get exciting prizes. Hi, loyal blog readers!! Hope you enjoyed ma previous articles of Primo App and Bucker App. 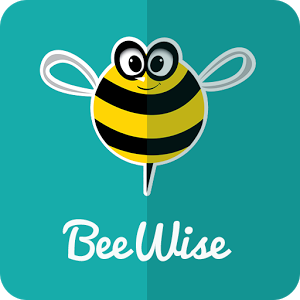 Likewise, today I introduce another fabulous app: BeeWise App. It is #1 money making app which helps users track all daily expenses without ever entering them. Users can visualise their expenses in real time across categories, time and merchants. In BeeWise you can earn real cash by just referring friends. 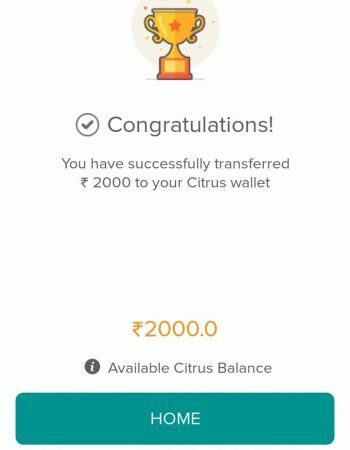 You can earn Rs.10 per referral and can redeem to Citrus wallet if the balance becomes up to a minimum of Rs.100. So, you can earn real cash by simply inviting 9 friends. So, start having this lovely app. ● Highly secure since no bank integrations required. ● Track spends across mediums: Card, Cash, Net banking, Savings. ● Having 1 million merchants across India. ● Can redeem personalised coupons, discounts & offers at partner site or apps. ● Light on the hardware. ● Automatic category tagging without entering any data. ● Supports almost all banks in India. ➋ Install & open the app (use any referral to get Sign up bonus). ➌ Enter your mobile number & Sign up. ➍ Verify your mobile number via OTP. ➎ Slide the screen now, click on tick mark in below of the screen. ➏ Now you will get Rs.10 credits instantly to your wallet. ➀ Go to Menu, click on 'Referrals'. ➁ Get your own referral link there. ➂ Share your referral link with your friends. Once your friend performs downloading & installing using your referral link, then you get Rs.10 credits and also your friend will get Rs.10 as Sign up bonus. Ⓐ Go to HomePage, click on Wallet icon in top right side of App. Ⓑ Wait for full page load, once it is getting full load then, you will see your earned balance. Ⓒ Click on 'Checkout' & enter your amount & submit. Ⓓ On the next page, Enter your Citrus wallet details & transfer it. So, readers!! What are you waiting for?? Download this instantly real money making app and just start enjoying. Hello, Guys !! 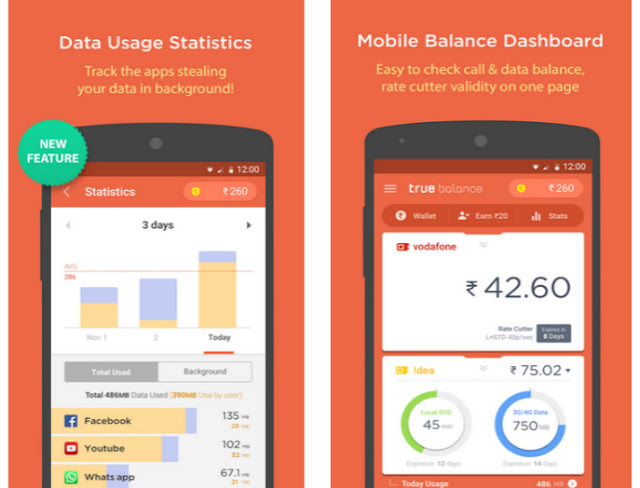 I am back by introducing another cent percent working app: True Balance App. I know, you all will be very much interested in using of Bucker App on reading ma last article. 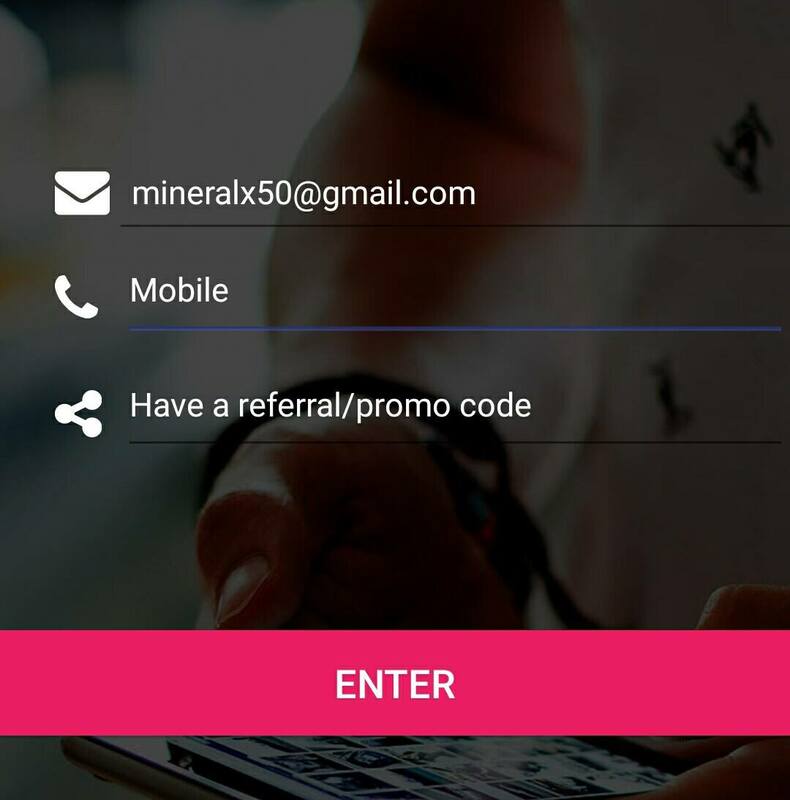 In this app, you can earn Rs.20 just by downloading it and Rs.10 per referral. Past times this app was available only in limited states (that is, only in Delhi-NCR, Uttar Pradesh, Goa, Haryana & Karnataka). But at the present times, it is extended to almost all states in India (Assam, Jammu & Kashmir, North East India excluded). Excited, Right?? Your excitation is all over here. Just follow the steps to earn money. Don't forget that the promotional offer will give you Rs.10 for referring your friends. You can invite them via referral code or referral link and enjoy free recharge. 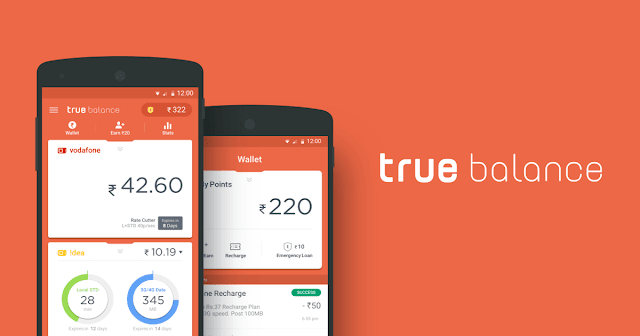 ➊ First, you just download True Balance App from Playstore. ➋ Open the app and allow the permission. ➌ Enable true balance option available after installing the app. ➍ It detects the Eligible States in India for the existing SIM. ➎ Enter the mobile number to verify via OTP. ➏ Now, you got Rs.10 in your True Balance App Wallet. "If you click in 'Emergency Recharge' you can avail Rs.10 !!" 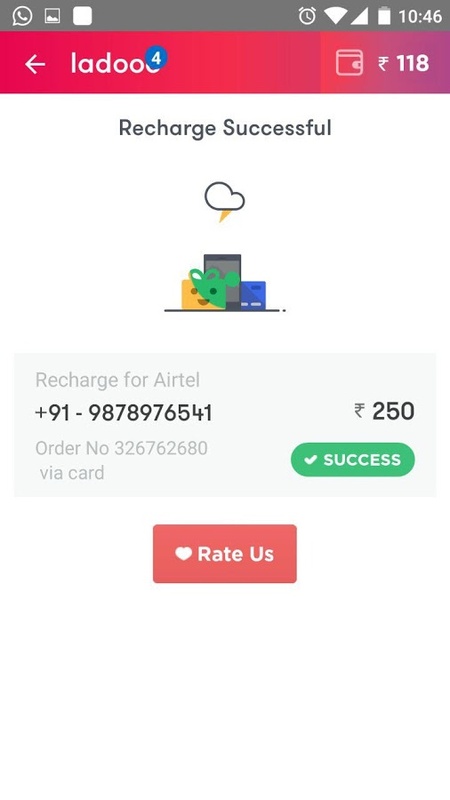 ➐ When you use any referral code then you earn Rs.10 + Emergency Recharge: Rs.10. So, you earn Rs.20 in you wallet. ➀ Open the True Balance App. ➁ Go to Home page. ➃ Now there generate you own referral code. ➄ Also, you can earn by sharing the link via Whatsapp, E-mail, etc. 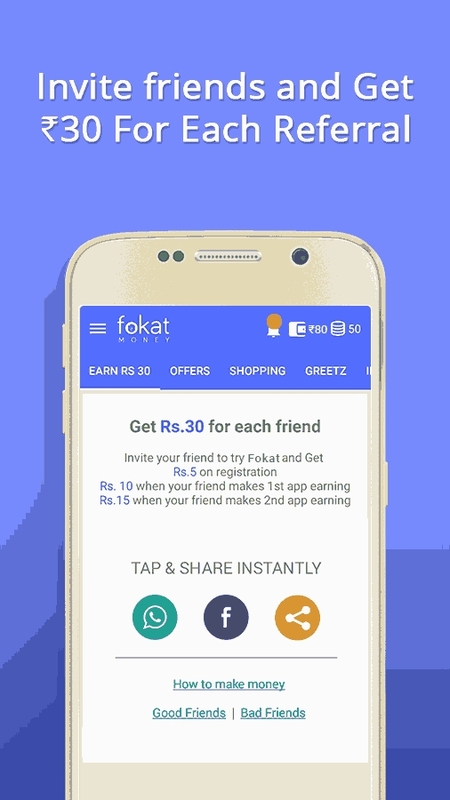 ➅ Now, if your friend downloads this app with your referral code then you can earn Rs.10. Another special feature of this app is that it can track your talk time and mobile data frequently. So that you can get special and better offer exclusively for you. This can also earn points. ● Very easy to handle. ● Can have any type of recharge. ● Single or Dual SIM capability. ● Earn points for checking balance. ● Automatic data balance inquiry after disconnecting. ● Automatic checking of call cost after each call. So, here I introduced a fast money making app which is easy to handle, access and earn. It can also perform recharge by credit or debit and even net banking. 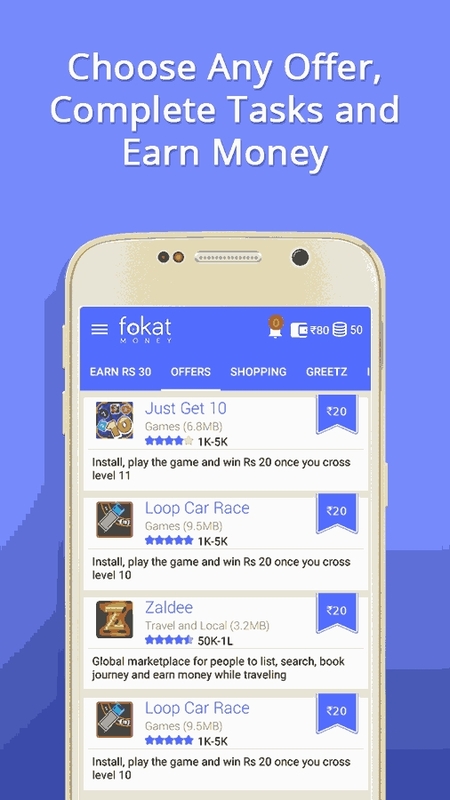 The main delighted thing in this app is that you can earn Rs.10 by just downloading the app and surely you will not forget about the referral earnings. Still reading?? Are you crazy?? 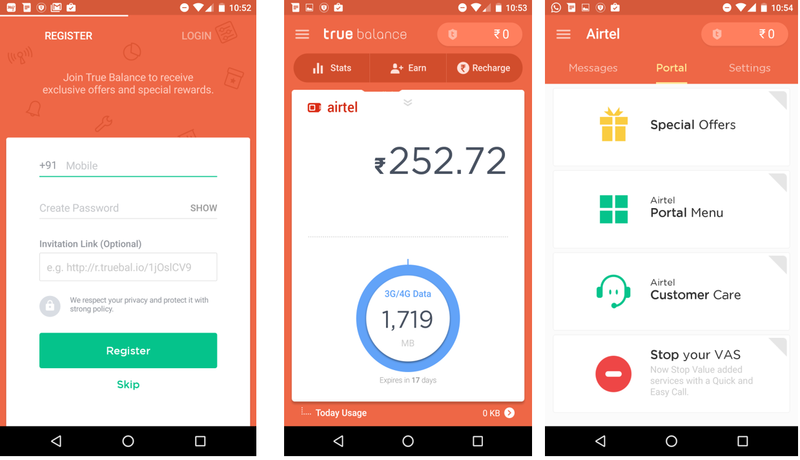 Just go to Google Playstore and download True Balance App and start earning yaar !!! Hai guys!! 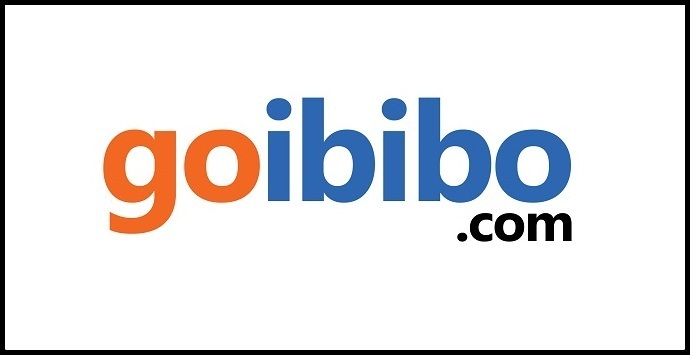 Hope you enjoyed our previous article on Earning Money on Goibibo. 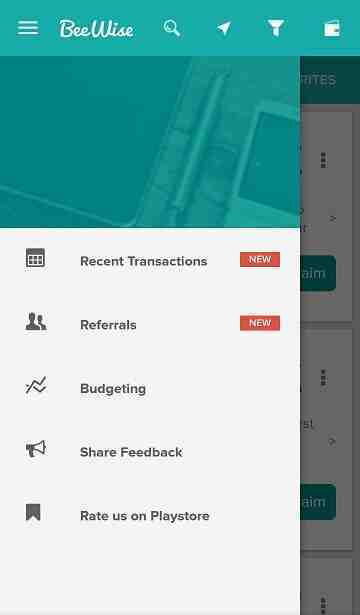 Today, I introduce Bucker App which is a genuine app to earn Rs.300 free Paytm cash daily by referring friends. Bucker is an all in one platform that lets you search, compare and book the cheapest flights, compare prices across online shopping app, get India's best coupons (no expired coupons) and book cabs. Using Bucker App you can order food, online shopping or book cabs. These all can be performed in this single nice app. I know, you spend more time by searching or comparing across multiple apps. So, here the heroism of Bucker begins. It gets triggered while you normally use apps to avail a service by understanding the need for the comparisons, coupons, and best deals. Currently, they give Rs.300 Paytm cash daily as per their promotional offer. You just want to refer friends to these earnings and the person with most referrals per day at the top of leadership board can achieve this amazing offer. They select 3 winners daily. ● 1st prize: Rs.300 Paytm cash. ● 2nd prize: Rs.150 Paytm cash. ● 3rd prize: Rs.100 Paytm cash. ➀ Download Bucker App from Google Playstore. ➁ Install & open it. ➂ Enter your mobile number. ➃ Verify your mobile number via OTP. ➅ Now, you can redirect to app dashboard. ➆ Start referring to earn. ➊ Open Bucker App & click on 'Menu'. ➋ Select 'Refer & Earn' option. ➌ Here, you can see your referral link generated. ➍ Share it with your buddies. ➎ In order to check your rank, click on the LeaderBoard option on this same 'Refer & Earn' tab. ➏ The person with most referrals can earn Rs..300 Paytm cash. ● Cabs: Cab bookings are made easier. Bucker App helps to compare cabs across all major cab servicing providers at one place based on the final price. ● Coupons or Deals: Get the latest and amazing coupons and discounts for recharge, movies, buses, flights, hotels, food, groceries, and fashion. The role of Bucker is to select the perfect coupon exclusively for you for getting maximum discount. ● Shopping: Shop the favourite products you need by comparing various e-commerce sites. It supports the providers like Amazon, Flipkart, Ebay, Shopclues, Snapdeal and much more. So, friends here introduced Bucker App which helps you to select the best offers comparing each in shopping, coupons, and booking cab. Also, don't forget about the promotional offer they give. Now, start enjoying. I know, you all will be very much excited with the Primo App and Whatscall App. Goibibo app now introduces goCash plus. In this plan, you can spend money by your own choice without any restrictions. Can you believe it?? Yes, it's true guys!! 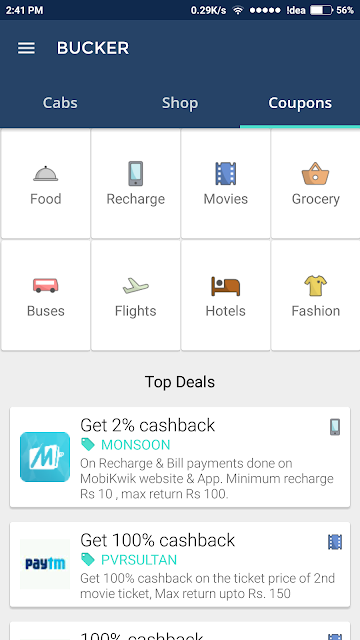 Goibibo app gives us Rs.2000 for free while installing and signing up by a referral code. After installing it, by inviting 5 friends you can earn Rs.500 extra. You can choose this app for Hotel booking, flight booking, bus booking, etc. Thinking how to install and have your money or how to have bookings?? I am here to help you!! Just follow the instructions given below. So, grab the charming offers in front of you and earn unlimited Goibibo cash. This app is available on both Android and Windows phones. 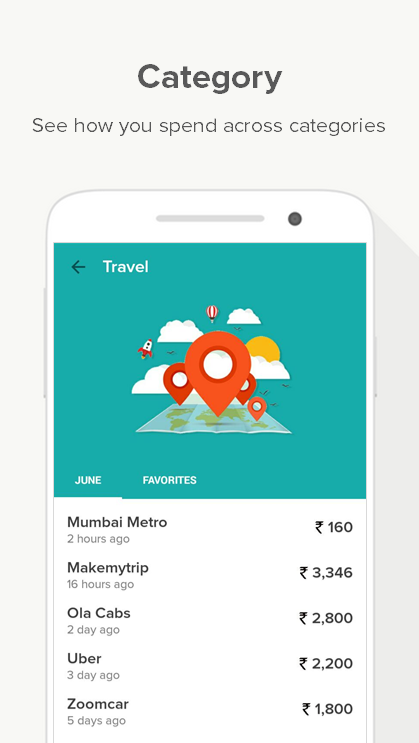 ➊ Open playstore (Windows store for Windows phone users) and download the app: Goibibo. ➋ Install it and Signup with your google account. ➌ Now fill your details (Full Name, Referal code: asgadk2, e-mail id & password, and mobile number). ➍ A one-time verification key will be sent to your given number for verification. ➎ Just enter it for finalising the steps. ➏ Now you are able for your bookings with Rs.2000 credited. ➐ After all, doing these steps you can earn extra money by inviting your friends by your referral code. ➑ For it, you just want to click on the left menu near my account option. ➒ Then, click on Refer & Earn option which appeared right now. ➓ At last, share the referral URL or you can also give direct code. Also can share your URL via Social media, e-mail and SMS. You can utilise this money not only for bookings in Goibibo but also into real by just one trick. That is if any of your friends or family members need to have some bookings just say them "I'll do it! ", so they will definitely give you the responsibility to book for their needs because of thinking about the booking hassles. So, here you can book easily through this app with your account and the credited money in your Goibibo app can be utilised. Thus the credited money becomes real. and have money following simple steps. I warmly wishes you a 'Happy New Year' for all TechnoDripians!! I know, now you will very much familiar with Whatscall which I introduced on the last day. Likewise, today I am back with a new app: Primo App. 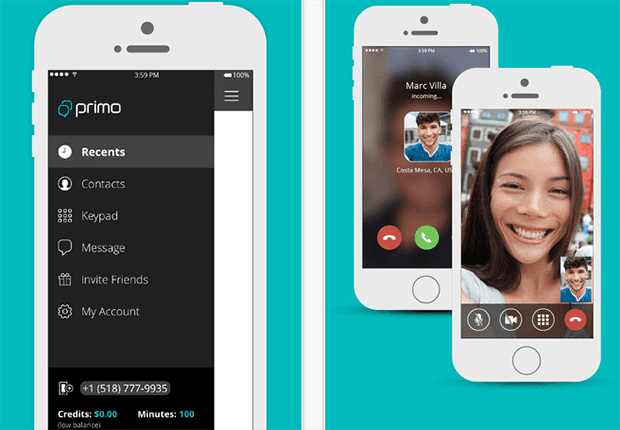 Primo app makes free international calls over 3 billion people around the world. Calling works without data in over 60 countries on the Primo voice network. You can use your cellular voice minutes to make calls when you are not near wifi or out of data. Using Primo App you can make unlimited free calls. Primo App gives to make free unlimited new calling trick. Also, you can call landlines in over 30 destinations for free, or purchase low per minute rates to reach over 200 destinations. Occasionally, you may find yourself in one of the 65 countries that offer Primo's voice network. In the areas, you can call even when not connected to the internet. 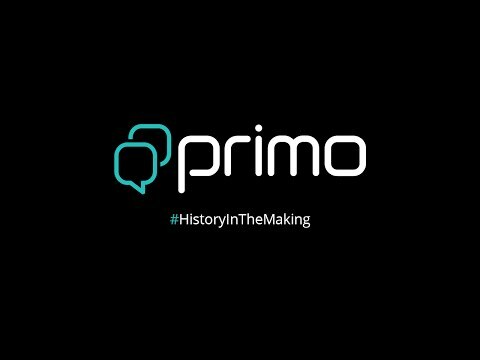 ● Unlimited & free Primo to Primo calls & chats. Excited?? Wanna download?? Download it from here. So, enjoy the special and astonishing features of Primo App which let you stay in connected to anyone, anywhere you need. Another exciting feature about Primo is, your Primo account includes a free US phone number to receive inbound calls and texts. Don't forget about the referral programme. 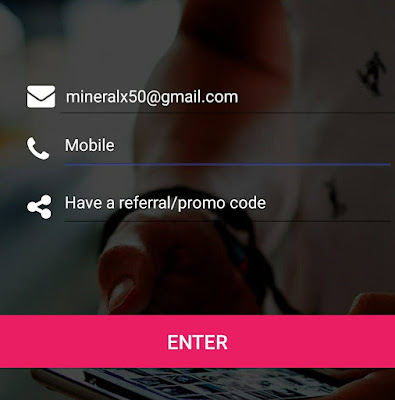 Just invite you friend and when they download and join, you will be rewarded with free referral minutes that never expires. So, download Primo App from the above link and just have the features as your own.